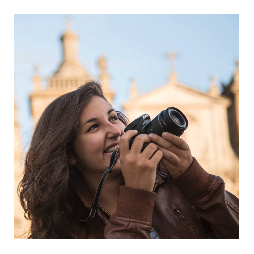 I'am a freelance photographer and video maker, with a degree in Communication Sciences, specializing in cinema and television (Nova University, Lisbon). I've been working as a professional photographer since 2013. Since then I worked in all genres of photography and for a great diversity of clients. I worked with magazines, on brands, universities, restaurants, real estate agencies, organizations, events, with individuals... - and that has allowed me to expand my portfolio and experience.